Washington’s easternmost vineyard is making good on the promise of this land with some spectacular wines. MORE THAN A century ago, grapes were first planted in the hills around Lewiston, Idaho, an effort led by Frenchman Louis Delsol. This showed so much promise, Washington State University researcher Walter Clore (“The father of Washington wine”) included these vineyards in “The Wine Project,” his research to determine the viability of growing European wine grapes in Washington. Prohibition ultimately doomed Lewiston’s growing wine industry, shuttering these efforts for nearly a century, until a band of intrepid winemakers and grape growers restarted the industry in the past decade. Perhaps the most interesting vineyard in the new Lewis-Clark Valley (a federally approved American Viticultural Area in Washington and Idaho) is called Rock n’ J Vineyard. Here are three wines from Clearwater Canyon Cellars, all using grapes from Rock n’ J Vineyard. The Wine Alley in Renton and Purple Wine Bar in Seattle often carry Clearwater wines. Order directly from the winery, which will happily ship into Washington. Clearwater Canyon Cellars 2015 Coco’s Reserve Malbec, Lewis-Clark Valley, $38: This wine is among the best malbecs I’ve tasted. It sent my mind reeling about the possibility of Northwest malbecs. Nutmeg, blackberry pie, soaring acidity and black pepper are backed by mild tannins. Clearwater Canyon Cellars 2014 Selway, $38: This malbec-leaning red blend uses grapes primarily from Rock n’ J Vineyard. This is a supple red that woos you into a second sip, with aromas of Milk Duds, warm cocoa powder and gooey brownies fresh out of the oven. Clearwater Canyon Cellars 2014 Coco’s Reserve cabernet sauvignon, Lewis-Clark Valley, $38: Using grapes primarily from Rock n’ J Vineyard, this upper-end red is loaded with aromas of ripe plum, dark chocolate and spices, with hints of fresh-roasted espresso beans. It’s a small (3.5-acre) planting near the obscure Asotin County community of Rogersburg. It was planted in 2010 to malbec, merlot, cabernet franc and cabernet sauvignon. 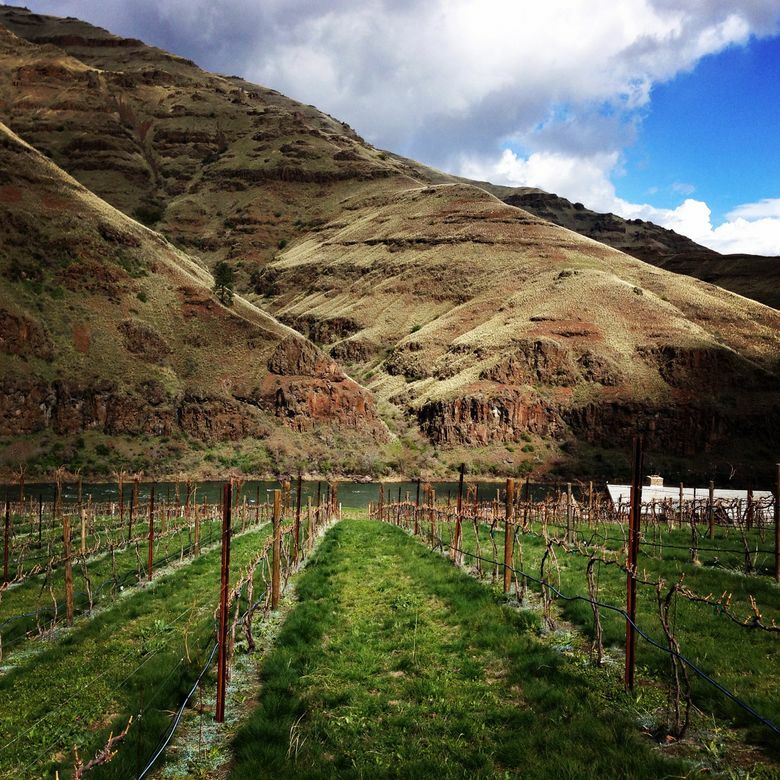 It’s in a canyon along the Grande Ronde River, near the corner where Washington, Oregon and Idaho meet, making this the easternmost vineyard in Washington. 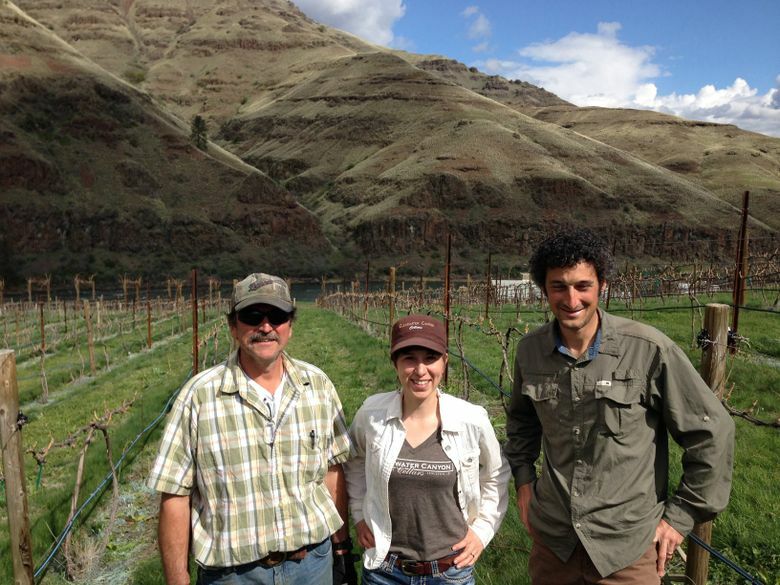 All the grapes from Rock n’ J go to Clearwater Canyon Cellars, a small, high-end winery owned and operated by Karl and Coco Umiker, rising stars in the flourishing Northwest wine scene. Karl handles the viticulture, and Coco is the winemaker; this division of duties is resulting in generally spectacular wines. Last year, I tasted hundreds of malbecs from the Western Hemisphere, and perhaps the best came from Rock n’ J fruit. I can’t wait to see what happens in the years to come as these vines mature, possibly resulting in wines of even more depth, flavor and maturity. I think what we’re seeing from Rock n’ J Vineyard proves that Delsol was on the right track a century ago, before Prohibition dashed his dreams. Now we have an opportunity to taste what might have been.